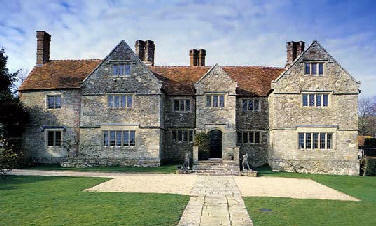 Arreton Manor in the Isle of Wight has a huge sprawling history that goes all the way back to at least 872 AD. Some evidence of its age is recorded in the Doomsday Book and again in the will of King Alfred the Great in 885 AD. After 1086 it was owned by William the Conqueror and in 1100 was granted to Richard De Redvers before being used for farming by the monks of Quarr Abbey for around 400 years. After this period, the manor was in need of serious repair, which was carried out between 1595 and 1612 before being leased to several different farmers and families. In 1987 the house was sold to the Clark family, who closed the building to the public in 1999, although thankfully it was re-sold again and re-opened in 2004. Tales of hauntings go back many years. Count Slade De Pomeroy was once the owner of the manor and it's recorded that he often woke to the sound of tapping and banging on his bedroom door. Having woken up and checked for the cause many times he's actually reported to have said that he had ignored it because if he opened the door there would be nothing there. One of my personal favorite stories comes from a time when the house was open to the public. One particular family were visiting and upon leaving, the mother told the owners of the manor that her little girl had told her she had been trying to make friends with a girl in blue but she disappeared through a brick wall... Could this be the ghost of a girl called Annabel? Annabel was horribly murdered by her own brother by being thrown out of a window after seeing him murder his other brother by smothering him with a pillow to gain inheritance. The ghost of Annabel is also to blame for the "starling coldness" which permanently inhabits the room that contains the window she was thrown out of, as well as the voice which can be heard calling out the word "Mamma".